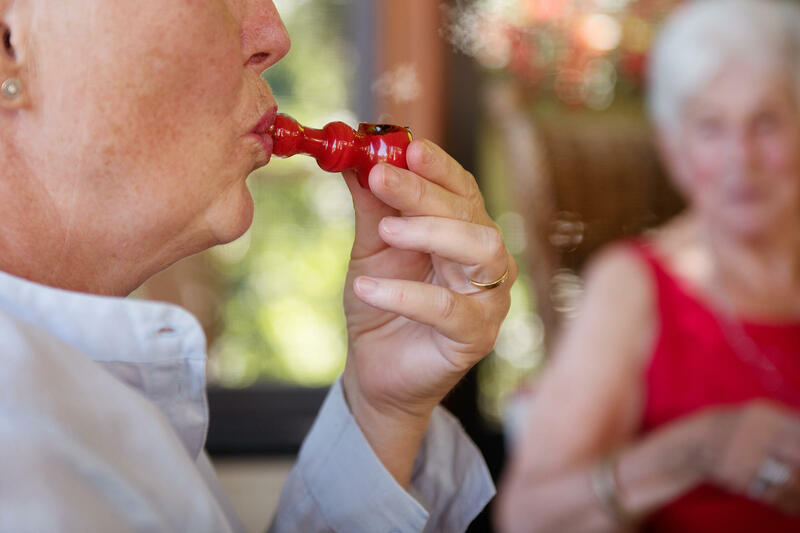 Baby boomers who use marijuana seem to be using it more often than in previous years, a recent survey finds — 5.7 percent of respondents ages 50 to 64 said they'd tried it in the past month. The drug is also gaining popularity among people in their 70s and 80s. And boomers who use marijuana also seem to be using it more often. Study authors found that 5.7 percent of middle-aged respondents said they'd tried it in the past month. According to a research overview published by the National Academies of Science, Engineering, and Medicine last year, a still small but growing number of studies suggest that marijuana may be helpful in treating pain, nausea, and spasticity. "For these conditions, the effects of cannabinoids are modest," the National Academies panel said. But even modest benefits can be helpful for some patients, says Dr. Joshua Briscoe, a palliative care physician at Duke University School of Medicine who studies medical marijuana in the elderly. "We prescribe substances that are far more dangerous than cannabinoids," says Briscoe, noting that older people can be more likely to experience a medication's side effects. And since marijuana's use is still tightly regulated by the federal government, he adds, it continues to be hard to study, so authoritative research on its harms and benefits is sparse. Han sounds a note of caution for his patients turning to marijuana. He says he first became interested in studying drug and alcohol use in the elderly after doing house calls on his patients. "You see their home environment," Han says. "I would see marijuana. I would see patients' family members engaged in drug use in the other room ... Open bottles of liquor everywhere." He thinks marijuana use among older people who combine it with other drugs — like opioids or alcohol — might be a particular cause for concern. Baby boomers who've had prior experience with marijuana shouldn't jump to using the same amount they did in their college days, Han says. The potency may be different, as well their ability to metabolize the drug. Han says his study highlights the need for more research on drug use in older adults. "I get asked a lot, more and more, by my population, 'Hey, should I try marijuana for this? Should I try marijuana for that?'" Han says. "It's hard for me to know what to tell patients."